Classie Lassies currently has the following vacant positions that we are looking to fill with members that would want to either join the Board or if unable to make that commitment but would be able to volunteer their time. Field Maintenance Manager: Report to League President (if volunteer). Responsibilities include and not limited to: Field maintenance throughout the season and the ability to find volunteers to assist with field maintenance. Concession Coordinator - Report to Vice President. 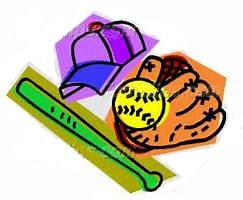 Responsibilities include and not limited to: Assigning volunteers to run concession during Spring and Fall season, working concession if needed. Events Coordinator - Planning person for opening day; Spring Rec, Fall Ball, other events, flyer/advertisement creation, etc.